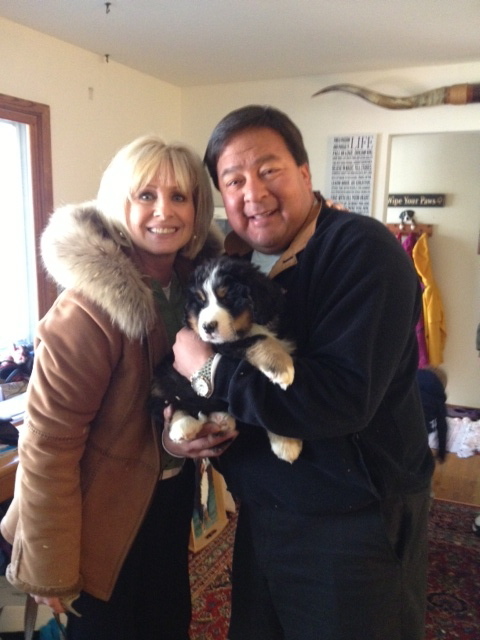 What an incredible weekend – we spent 7 hours driving to Northern California to pick up our new Bernese Mt. Dog, his name is Champion Touchdown Duke. He is 8 weeks old and the love of my life. 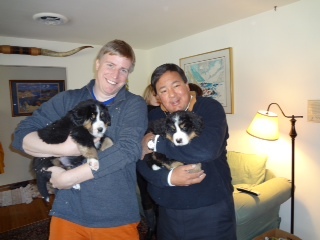 Here he is with brother “Lincoln” and they will live in Sacramento. This entry was posted in Authentic Self, Life, Protocol and Etiquette, Tip of the Day and tagged 8 weeks old, BMD, California, chinese new year, dogs, Love, Northern California, postaday, Puppies, rain, snow. Bookmark the permalink. He is so precious!!! Congratulations!!!! Too cute! I look forward to many more updates! He’s beautiful! Those are good looking dogs.